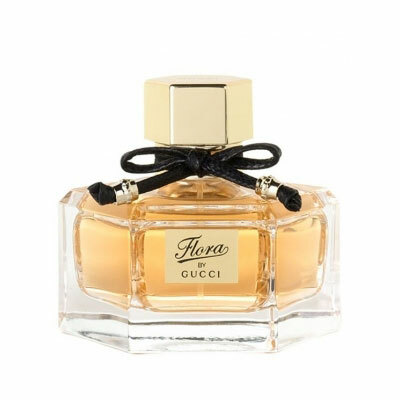 The new edition,Flora by Gucci EDP, can be expected on the market at the beginning of 2010. This version was announced as more intense, deeper, seductive and richer. Notes of Flora by Gucci Eau de Parfum promise the same youthful and optimistic expression of the composition as it was offered by EDT. The difference lies in stronger concentration of the EDP edition. Flora by Gucci was envisaged and created by Frida Giannini who was inspired by Gucci floral pattern used first as a scarf for Grace, Princess of Monaco. Floral motive has been enchanting women with glamorous and feminine details for decades. Flora by Gucci Eau de Parfum is characterized by fresh notes of agrums in the opening, combined with beautiful peony. A heart introduces balanced aromas of rose and osmanthus, while a base is created of patchouli and sandalwood. The more opulent, stronger and more powerful EDP has the same flacon as the original edition, but is decorated with gold details on a black bow ribbon, black cap and darker liquid. The fragrance arrives in January 2010.